This polish has been in my to-swatch pile for eons, I got it ages ago during one of Ulta’s buy two get two sales in November. 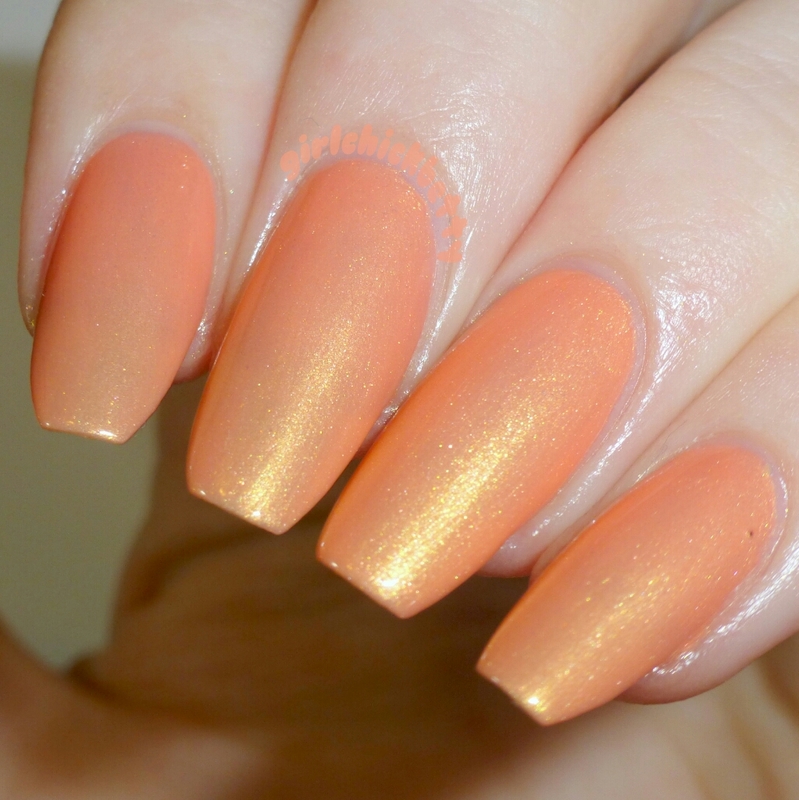 This is Ulta Oh!, it’s a sheer pastel peach with a golden shimmer finish, and it took four coats to get it opaque enough for my taste. It has a pretty quick drytime though, so those four coats didn’t bother me. These swatches are with shiny topcoat. The formula’s sheerness is the only downer, otherwise it’s a stellar polish! Next story I ditched all my moisturizers for this one little bottle? !